Note 1: Like Nekketsu games? Check out all my other Nekketsu reviews (and Super Dodge Ball)! Like Sega Genesis/Mega Drive games? Check out my review of Bare Knuckle III. Note 2: For a comparison and list of differences from the PC Engine version of this game, check that game’s review in my PC Engine section. Mega Drive games will fit into and play on a Sega Genesis 3 model. Note 2: This game was played on a Sega Genesis 3 console. The Genesis 3, unlike the first 2 models, has a wide cartridge slot that can accomodate the slightly bigger Mega Drive cartridges. The Sega Mega Drive is what the Sega Genesis is called in Japan; the systems are the same, but Mega Drive cartridges are slightly larger than Genesis cartridges. The Sega Genesis 3 console was connected to a 32-inch HD tv using AV (red, yellow, white). 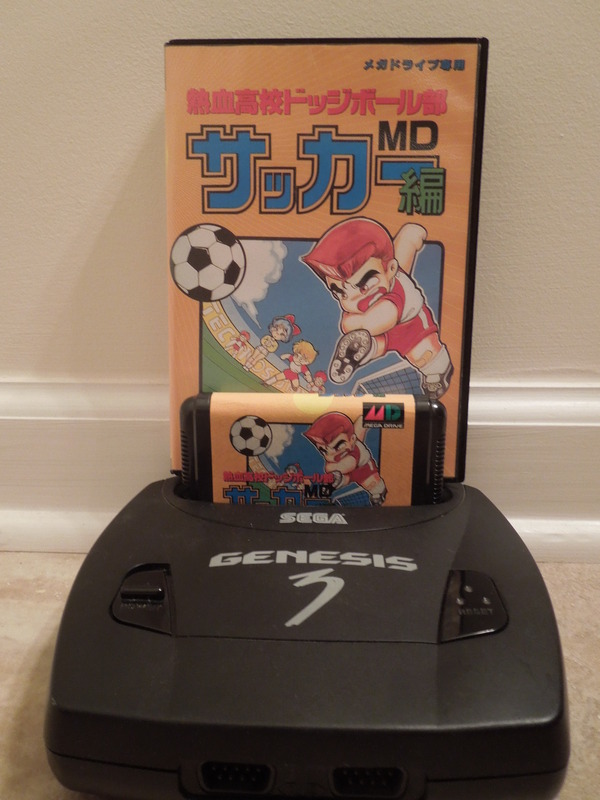 Quick History: Nekketsu High School Dodgeball Club: MD Soccer Edition, or Nekketsu High School Soccer, was released in Japan in 1992 for the Sega Mega Drive home console. 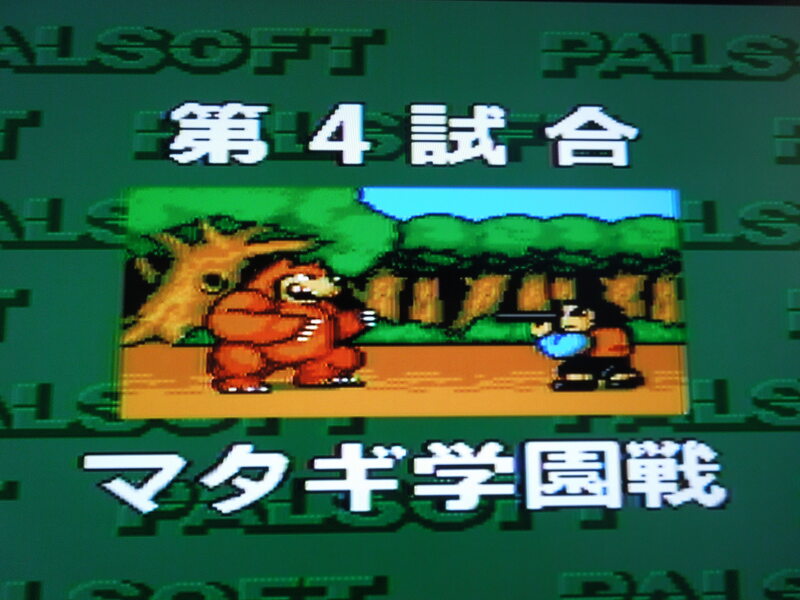 The game had already been released in Japan for the Famicom (Japanese NES), PC Engine, and PC Engine Super CD-ROM. The game was re-worked a bit and released for the NES in the United States under the title ‘Nintendo World Cup,’ a game that is well-known by many U.S. Nintendo enthusiasts. Perhaps the least known version of the game, however, is this Mega Drive version, which, while sharing many similarities with its counterparts, also adds some unique features of its own. The story of Nekketsu High School Soccer, which is part of the Japanese Kunio-kun series, has Kunio and the Dodge Ball team helping Misako, the manager of the school’s soccer team, beat neighboring regional schools in soccer matches. 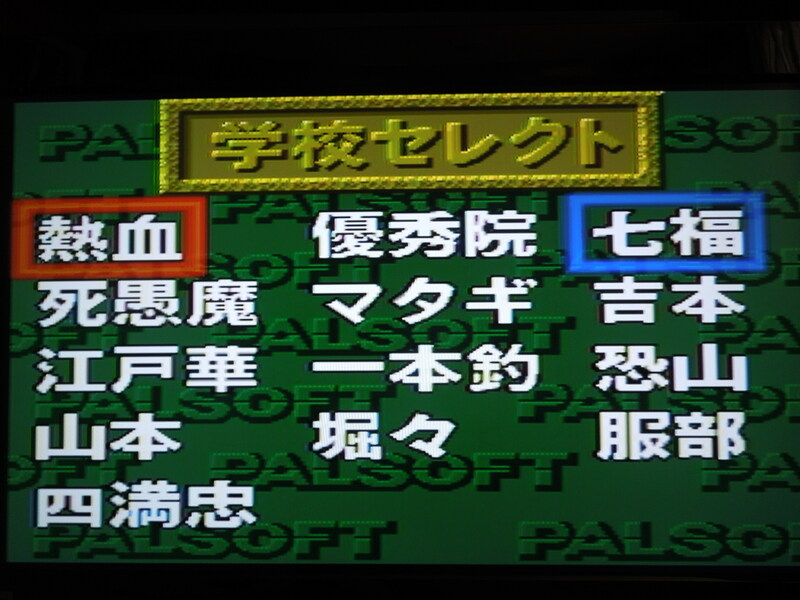 You can select among 6 different fields in 2 player VS.
Controls: This game can be played with a 3 button Sega Controller. On offense, A shoots, C passes, and B powers up your player for a Super Shot (Hold B until your power bar is full and your character is ingulfed in flames, then hit A to shoot your Super Shot). Hitting A + B makes your player jump, performing a bicycle kick when the ball comes to you from an air pass. Hitting A + B + Forward makes your character do a diving header when the ball comes to you from an air pass. On defense, A slide tackles to steal the ball, C does a shoulder tackle to knock opposing players to the ground, and B powers up your player for a Super Defensive Move (Hold B until your power bar is full and your character is ingulfed in flames, then hit A for a super fast slide tackle or C for a super attack). While you can’t ‘control’ your other teammates, you can ‘tell them what to do.’ For example, if your defender is chasing the opponent with the ball, even if your character is on the other end of the field, you can press C to make your defender shoulder tackle the opponent character. Or, if you pass to your computer teammate near the goal, pressing A when the ball reaches him will make him shoot. You have full range of the field even though you’re a forward, and can run back to help the defense if they get in a jam. Passing, by the way, is a bit random. Most of the time, on offense, pressing C will pass to the player nearest to you, but this isn’t always the case. Your team is managed by Misako. 1 Player and 2 Player Tournament Mode: You alone, or you and a friend can play through the 12 other teams in the game. In 1 player, you are assigned the midfielder. In 2 player, you and your co-op partner will both be the 2 forwards. *Remember, you can still run all over the field no matter what your starting position is. In 2 player co-op, neither you nor your partner can directly control other players on your team, but Player 1 can give them ‘commands’ (see Control above). In 2 player Tournament, the password will be different from 1 player Tournament, even if you are entering a password to get back to the same team in either mode. The only number that changes in the 4 digit code is the last number, and it simply increases by one in 2 player mode. So, for example, to get to Match 3, The Bikers, in 1 Player Tournament, the code is 4900. But, to get to that same team in 2 Player Tournament, the code is 4901. Beat all the teams in the game, and you beat the game! The last few teams are TOUGH. Oh, and there is no Overtime or Sudden Death mode. If the clock hits 0:00 and you’re tied, it counts as a loss, unfortunately. In each of the 12 matches you compete in, each school you face has a ‘theme.’ This team is, evidently, The Hunters. 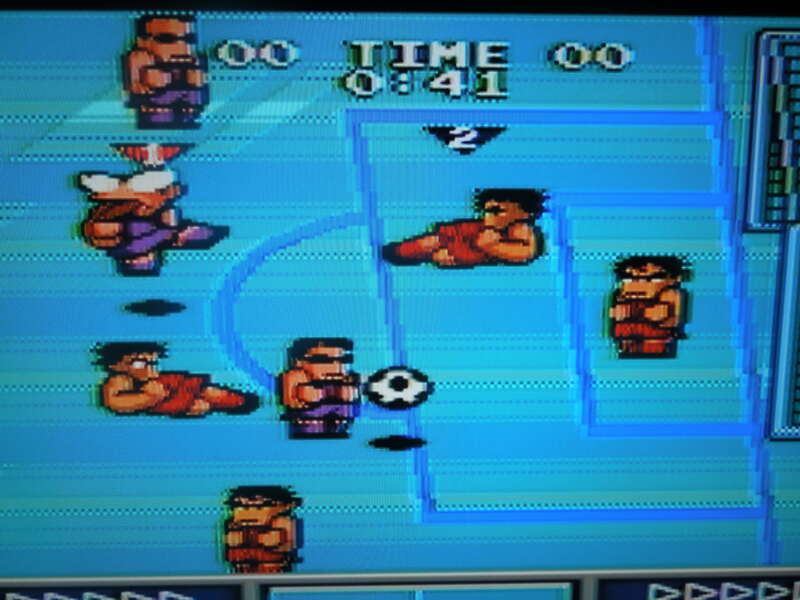 2 player VS: Some other versions of this game (PC Engine, PC Engine Super CD-ROM, the NES re-worked version of Nekketsu High School Soccer, titled ‘Nintendo World Cup’) allow for up to 4 players in VS mode, but not this game. Here, it’s for only 2 players. Still, this version, unlike all other versions of this game, allows you to choose from ANY of the game’s 12 teams in VS mode. In the other versions, you are limited to approximately 5 of the game’s teams (for some reason). Also, in VS, you can choose from among 6 field terrains, with surfaces including grass, rocky (you can trip over rocks on the field), concrete (not smart for soccer – the ball hardly rolls), and ice (if you slide tackle, you’ll go zooming across the field). For some reason, in VS, you don’t play two halves like in tournament mode – just one. No overtime mode here either, sadly. Sound and Music: The Genesis/Mega Drive console, and, subsequently, its games, were not known for their outstanding sound. 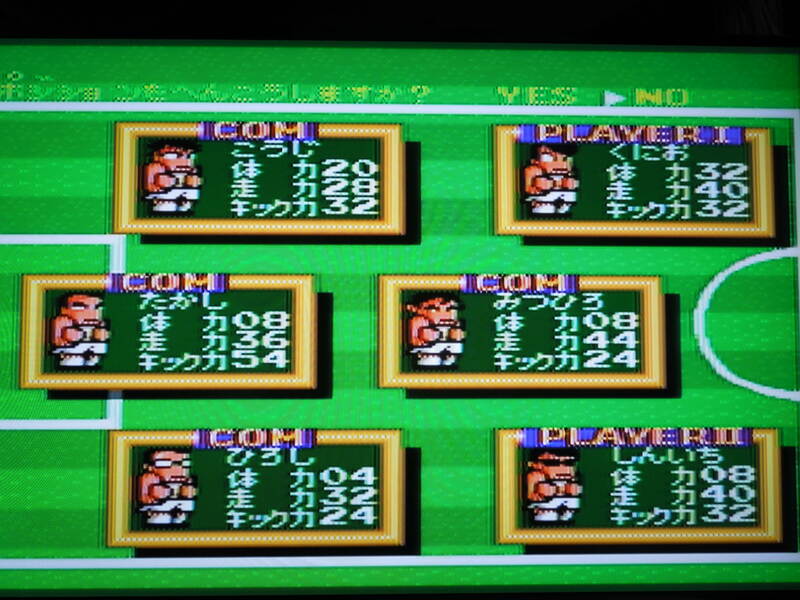 However, you’ll still be pleased with the music in Nekketsu High School Soccer. Different tunes play for different teams you face, and they’re, for the most part, catchy, if not memorable. The sound effects are a bit crude, but passable. The ‘Ugh!’ an opposing player issues when you shoulder tackle him is comical. Passes, shots, and scores all have decent sounds. I don’t know all the technical reasons behind it, but there is just a noticeable difference between sound on a Genesis versus sound on an SNES, I must add. Options: There is an ‘Options’ Mode; however, you can only do one thing to the game. Luckily, it’s really, really, great. You can change the length of time per half (or per game, in 2 Player VS). Your choices are: 3:00, 2:00, and 1:00. The clock moves at a decent clip, so the 1 minute halves will be over before you know it. I love this option for the Mega Drive version. 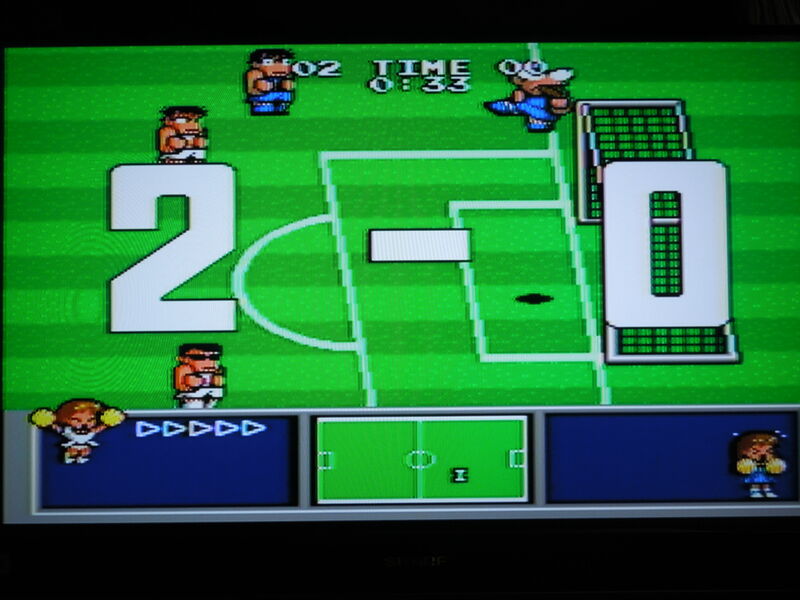 In other games – for instance, Nintendo World Cup (which is essentially the same game, just re-worked as the World Cup instead of high school teams), you cannot change the time at all – so, in that game, you are forced to endure very long 4 minute halves with a slow-moving clock. I’m glad that those who created this game included this choice. Now, you have the option for quick matches. Choose from ALL the game’s teams in VS. Language Barrier? No and Yes. No, if you want to just play a quick game of soccer – just press Start until you get to the matches. Yes, however, if you want to pick a player based on specific statisitcs and choose from a short list of ‘strategies’ before your matches start. Luckily, you have the Southern Gentleman to give you a bit of info! On the character select screen, where you assign your computer players and pick your own character, there are 3 categories (in Japanese) with a number alongside them. The first category is Power, the second Speed, and the third Defense (if your player is weak on D, then he’ll stay down longer if knocked to the ground by an opposing team’s player). The higher the number, the stronger (shooting), quicker, or tougher your player is. Also, after you select your player, you’ll be taken to the locker room, where Kunio stands before a chalk board and shows different ‘strategies’ (for your computer teammates to utilize) for the upcoming match. There are 4 different choices for you to make (all in Japanese). The 1st board is Pass/Dribble the ball (for your computer teammates, remember). This board is pre-set to Pass, so I don’t advise changing it. The 2nd board is Goal Keeper play/Goal Keeper not play. This board is pre-set to GK not play, and I advise not changing it unless you want your Keeper abandoning the goal randomly and running off down the field. The 3rd board is for offense again – this time it’s teammates will shoot frequently/sometimes/not at all. This 3rd board is pre-set to ‘frequently shoot,’ and I advise not changing it, because your computer teammates are more than capable of scoring for your team. The 4th and last board is for your defensive strategy. Your choices here are try to tackle/mark the opponent. This 4th board is pre-set to ‘mark the opponent,’ and this is the only one I advise changing. You’ll generally want your computer teammates to slide tackle or shoulder tackle the opposing team’s man in possession of the ball as soon as possible without waiting on your command. Also, while you can select all teams in VS mode, all the names are in Japanese, so it’s kind of pot-luck there when you choose. So, where can I find this game? This exact game? Ebay. You’ll need a Mega Drive Console to play the game, however, or a Sega Genesis 3. I believe you can play the game on a Sega Genesis model 1 or 2 if you have a Game Genie and a specific code. Also, remember, there are similiar versions for other systems. I don’t believe this Sega version has been made avaliable for any U.S. compilation discs or modern-gaming system’s download services. I’m unsure if it’s avaliable for download in Japan. The rom can be downloaded for play on a Mega Drive emulator for your computer. Power up using B for too long, and you’ll toast your player! 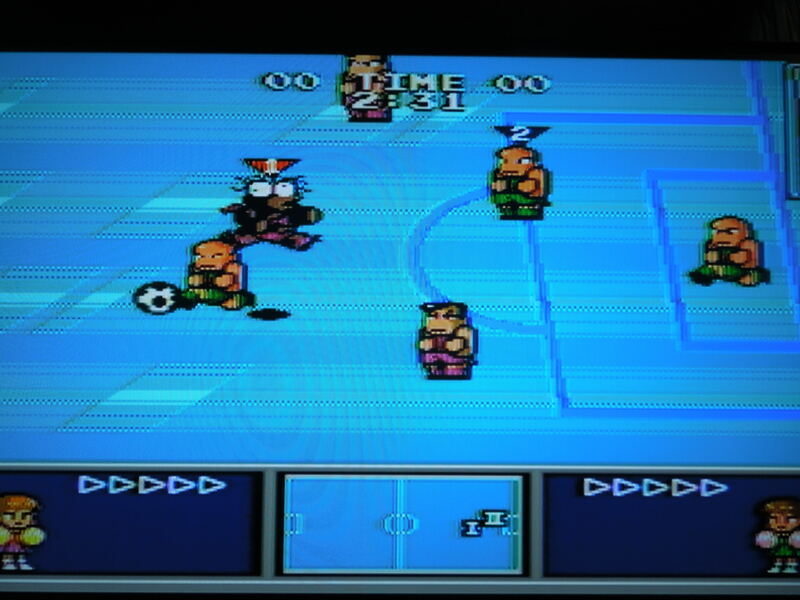 Conclusion: The NES version of this game allowed you to choose from all of the teams in the game (although they were changed to different countries like France, England, etc.). 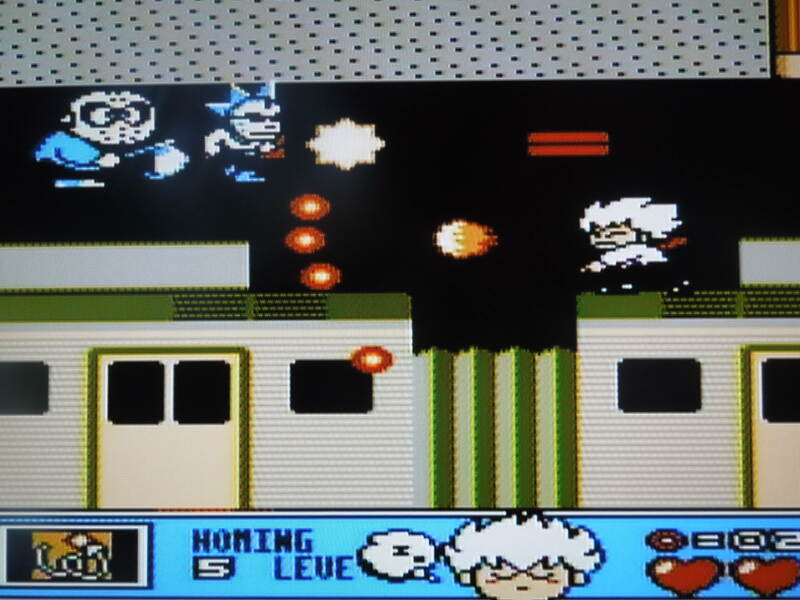 In this version, in 1 player mode at least, you are stuck playing only as 1 team, Nekketsu High School. 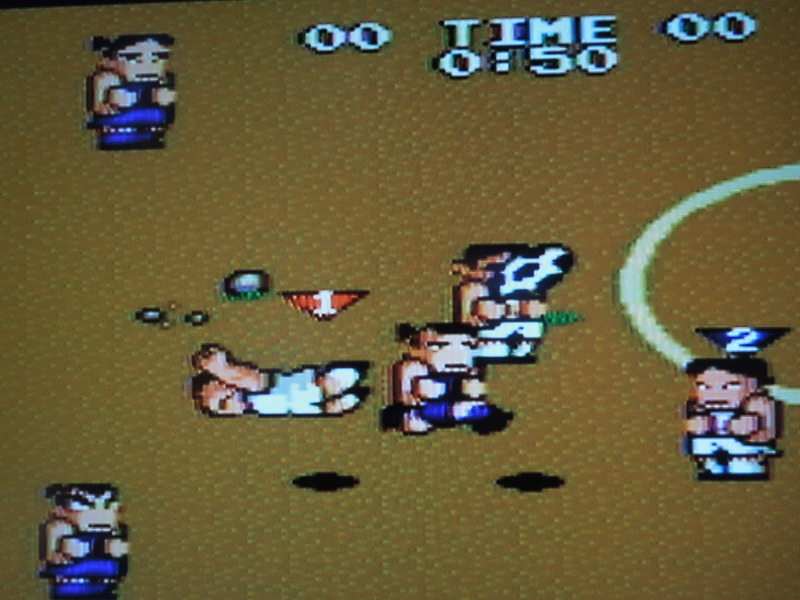 This was common across the Kunio-kun games – play as the Japanese team against all opponents. It would be great if you could select all of the teams for Tournament mode, but that’s not the case. What is great is the ability to select all of the teams in VS – this is not an option in any other version of the game. 2 player co-op is great, as goal scoring and assists can be perfected for an unstoppable offense. Your players stats, from top to bottom, are: Power, Speed, Defense. The higher the number, the better the skill of your player for that particular attribute.